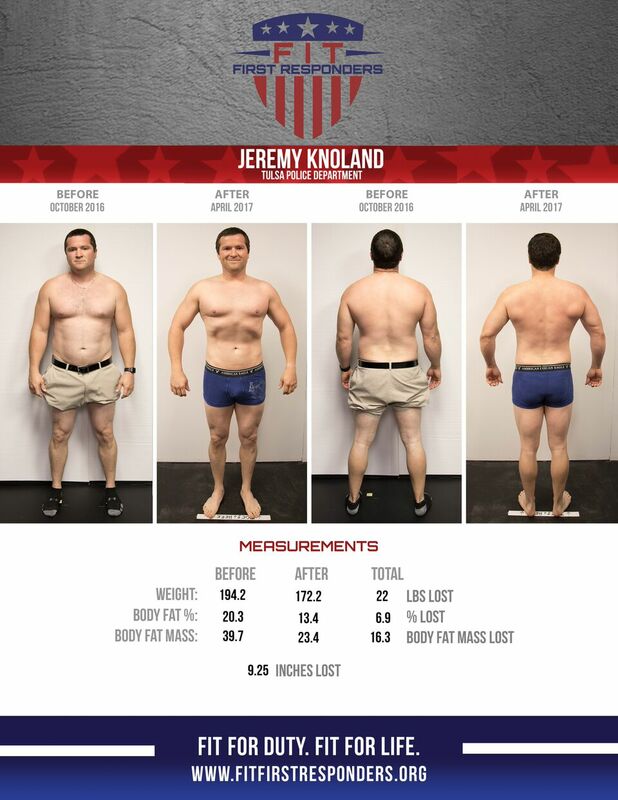 Jeremy Knoland is a Tulsa Police Officer and was one of the top finishers in the 25 Week Fit First Responders Challenge. Jeremy always thought he could get himself in shape and needed no help from anyone to accomplish this. Then he realized he had put 20 pounds on doing it by himself. He joined FFR and found that it gave him the time he needed at the gym to focus on himself and improve his life. Jeremy loves working out with FFR to help push people and support others. He has found as a supervisor he is better as a role model for his employees.